When plaque builds up inside your arteries, they narrow, leading to arteriosclerosis. People with arteriosclerosis may develop peripheral artery disease, a condition that causes poor circulation in the legs and feet, due to the narrowing of arteries that supply these body parts. It is most common in men over 50, and causes pain and fatigue in the legs and feet that usually begins when exercising. Talk to your doctor if you suspect you have peripheral artery disease. While lifestyle changes and herbs can help improve symptoms in some people, other people require traditional medications or other treatments to manage the disease. Don't begin taking any new herbs or supplements before discussing them with your doctor. Making lifestyle changes to support the health of your circulatory system can help improve your symptoms, prevent worsening of your condition and reduce your risk of related complications, such as wound infections. Smoking further narrows your arteries, so quitting can help improve your circulation. Talk to your doctor if you're having trouble quitting on your own. Be diligent about taking care of your legs and feet, especially if you're diabetic. Decreased circulation makes it more difficult for wounds to heal, so pay close attention to any cuts or scrapes on your feet and lower legs, and see your doctor, if they don't heal quickly. Light exercise, such as walking, can help reduce your pain, increase the distances you're able to walk without resting and improve circulation over time. 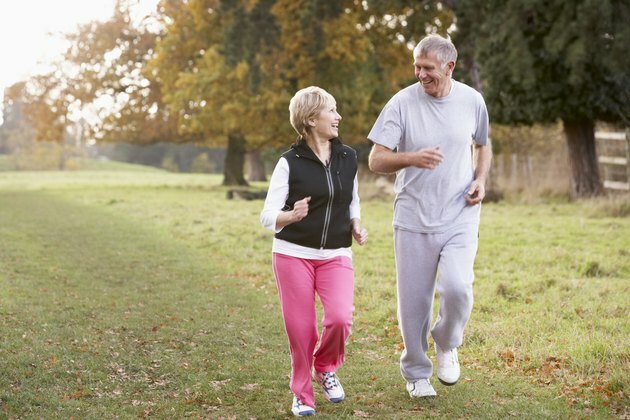 Walking regularly also burns calories, which will help you keep your weight in check -- another important component in taking care of yourself, if you have peripheral artery disease. 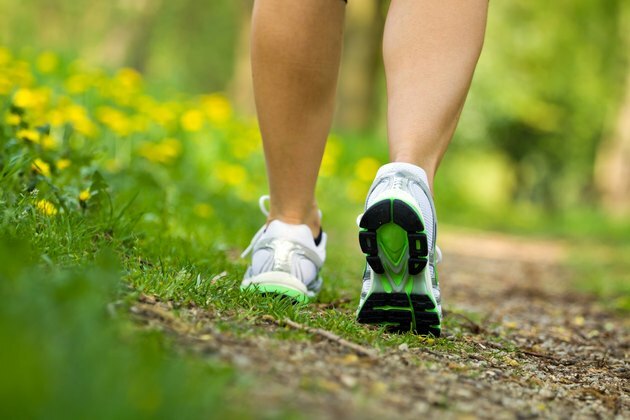 Aim for walking three to five times per week, suggests the Cleveland Clinic. Begin with a warm-up for five minutes by walking slowly at a pace that does not cause leg pain. Increase your pace and aim to walk for about 20 minutes at a higher intensity, stopping and resting if your pain reaches a mild or moderate level. Wrap up your routine by walking at a slow pace for five minutes to cool down. Eventually, you may be able to increase the time you spend walking between rest periods and work up to 60-minute walking routines several times a week. Eating a healthy diet can help lower your cholesterol if your cholesterol is high, and a healthy diet will also help improve the state of your arteries and cardiovascular system, as a whole. Aim to keep your daily fat intake to no more than 25 to 35 percent of your daily calories and don't eat more than 300 milligrams of cholesterol daily, recommends the National Institutes of Health website MedlinePlus. Avoid trans fats as much as possible, since these can raise LDL cholesterol and lower HDL, or "good," cholesterol. Processed foods, baked goods and fried foods are common sources of trans fats. Include at least five servings of fruits and vegetables in your daily diet. 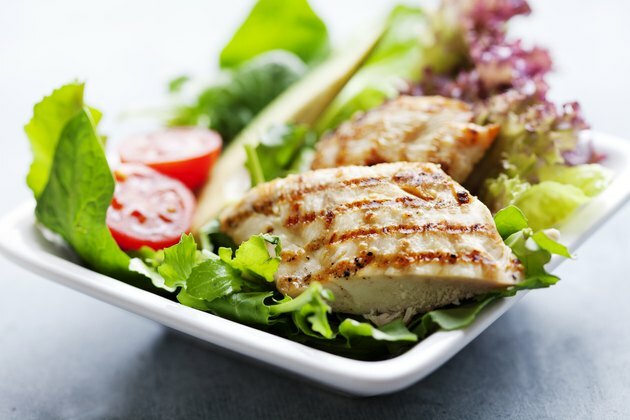 Consume lean sources of protein, such as poultry, lean meats, beans and dried lentils, while avoiding fatty cuts of meat, such as ribeye steak, organ meats and processed meats. Several herbs can help support your circulatory system and may reduce pain and fatigue caused by poor circulation in your legs. 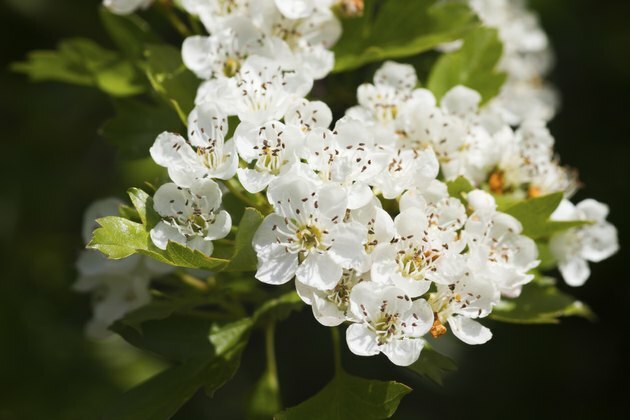 Hawthorn has been used to treat circulatory and respiratory diseases since the early 19th century, according to the University of Maryland Medical Center. The herb contains antioxidants that can help improve blood flow and help dilate blood vessels. Talk to your doctor about a safe dosage, if you choose to take hawthorn. Ginkgo biloba can also help improve blood flow and reduce pain in the legs caused by decreased circulation in the legs, in some patients, according to the University of Maryland Medical Center. Garlic is often touted as an herb to help with atherosclerosis, although it may not be very helpful for people who have poor leg circulation. A review published in April 2013 in "Cochrane Database of Systematic Reviews" found that taking garlic did not significantly improve pain-free walking distances in people with lower-limb atherosclerosis. 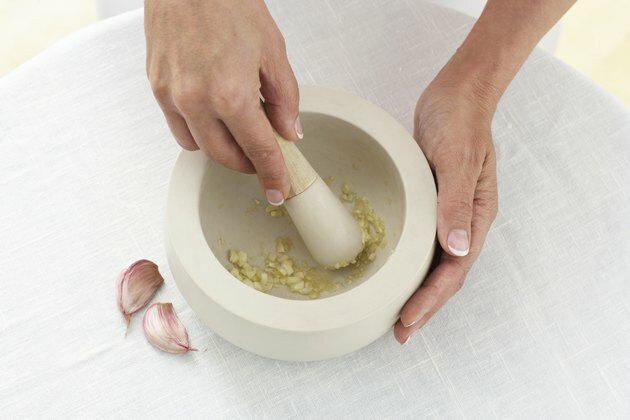 Still, adding garlic to your cooking or taking a daily garlic supplement may benefit your health in other ways, since it may help strengthen the immune system and work like a blood thinner, reducing the risk of heart attacks and strokes, explains the University of Maryland Medical Center.